There can also be rodents which are attracted to the area, and can become a nuisance to your household. 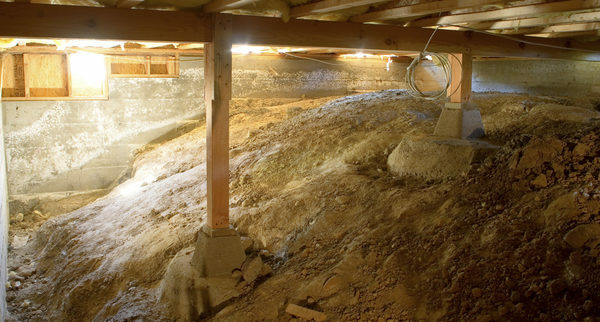 Here are some of the other reasons why you would be well advised to maintain a clean crawlspace beneath your home, if you don’t have a basement. Read more tips from a local Bay Area attic insulation removal company. Pests are naturally attracted to places which are infrequently visited, are relatively warm, and provide access to some kind of food. Rodents can be especially damaging, since they can harm your duct work or electrical wiring, and that can have a serious impact on your electrical system. In some cases, these unwanted critters will also find access to the household itself and get into your food supply, leaving droppings around the home as a reminder of their presence. All kinds of pests can be eliminated from your crawlspace when you have a professional install a vapor barrier which keeps them in the ground and out of your house. Did you know that approximately 40% of the air which circulates throughout your household comes from the crawlspace beneath your home? If there are mold or mildew colonies growing in your crawlspace, that means you will be circulating them around your home as well, thereby causing or worsening health conditions for your family. The temperature of air in your crawlspace is also an issue, because if it’s cold your heating system will be working harder, and if it’s normally warm, your air-conditioning system will be working harder. If you already have insulation in the crawlspace, you may need periodic insulation removal and exchange, or if you have never installed insulation, you may need to do so, to make it easier on your HVAC systems. If your crawlspace has never been insulated, chances are that a good deal of heat or conditioned air is escaping from your home, and that will affect your energy bills. If mold or mildew issues buildup beneath your home, they can cause serious damage when they spread inside the home and begin eating away at the infrastructure. By completely encapsulating your crawlspace, and having the work done by a qualified professional, you can avoid major costs from repairs and from energy loss. Need Bay Area Attic Restoration Services? If you need any kind of attic insulation removal in the Bay Area, or you require attic or crawl space cleaning, household rodent-proofing, or attic restoration services, the company to call is Element Home Solutions at (888) 980-4822. Contact the Bay Area experts HERE about attic and crawl space cleaning, and enjoy peace of mind about those two important areas of your home.